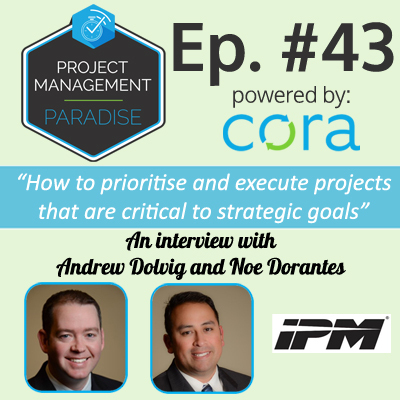 In this episode Johnny speaks to Andrew Dolvig and Noe Dorantes from Integrated Project Management Company in Chicago about their Strategic Realization Model. They also share with us, some useful insights about how the model helps define, prioritise and execute projects that are critical to an organisation’s strategic goals. Integrated Project Management Company, Inc. (IPM) is a leading project management consulting firm focused on planning and implementing strategically critical projects in the life sciences, healthcare, consumer products, and industrial sectors. IPM tackles complex projects through dedicated on-site leadership, combining clients’ internal capabilities and legacy knowledge with IPM’s proven ability to inspire stakeholder engagement and buy-in to achieve project objectives. Since its inception in 1988, IPM has served over 350 clients and completed nearly 4,000 projects. In 2016, IPM was recognized on Forbes’ list of 25 Best Small Companies in America. In addition, IPM has been named a “Best Small Workplace” for seven consecutive years (2010-2016) by the Great Place to Work Institute. The podcast is sponsored by Cora Systems providers of enterprise project and portfolio management solutions and services to government agencies and large-scale global organizations. 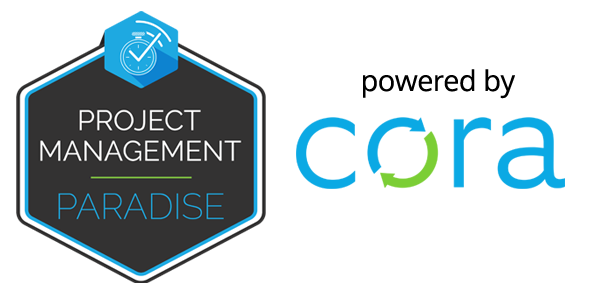 To see how Cora can help transform your organization why not request a free personalized Demo. To learn more about IPM and its services, visit www.ipmcinc.com/services or call +1 630-789-8600. Connect with our guests on LinkedIn: Andrew Dolvig or Noe Dorantes or the IPM page.